Galliker’s is so much more than just milk – although milk is and will always be important to us. When you’re in the mood for a refreshing thirst quencher, reach for one of our iced teas made with filtered water, premium sweeteners and absolutely no preservatives. 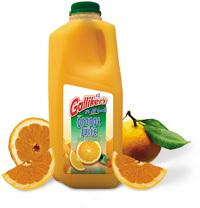 Or sip sweetly with Galliker’s fruit drink available in four delicious flavors. Western Pennsylvania's #1 selling dairy tea. Greet the day with the sweet n’ tart taste of our 100% pure orange juice, bursting with Vitamin C.
Drink in the goodness… in everything we do. 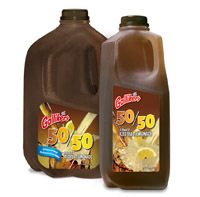 For those who enjoy the sweetness of iced tea and the tartness of lemonade – Galliker’s 50/50 lets you enjoy both in one glass! A refreshing blend of Galliker’s Iced Tea and Lemonade, 50/50 offers the perfect combination of two traditional favorites. Now also available in a low calorie diet variety. Discover the refreshing flavors of Galliker’s Cherry Pom and Diet Peach Teas. Cherry Pom Iced Tea is an amazing blend of natural tea infused with cherry and pomegranate juices. Galliker’s Diet Peach Iced Tea is a classic blend of real tea accented with the delicious taste of peach. Galliker’s Iced Teas are made with filtered water, premium sweeteners and absolutely no preservatives. No matter your taste, Galliker’s Iced Teas are sure to please.